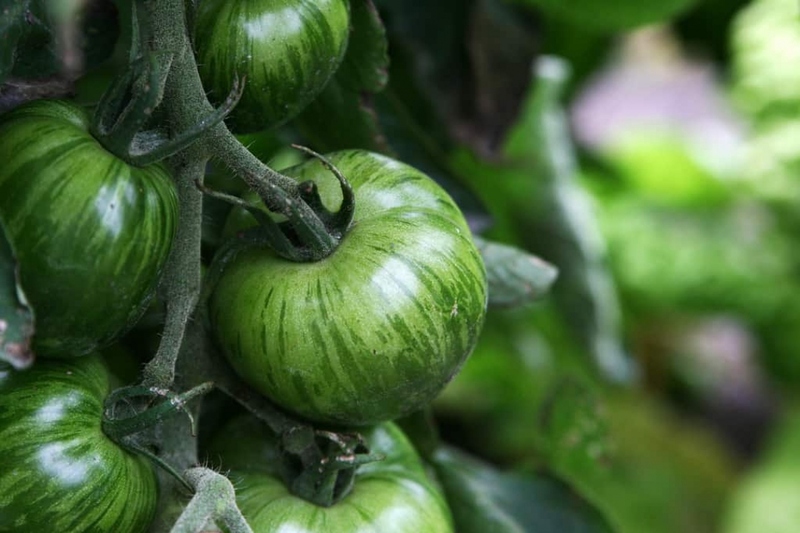 Tomatoes 'Green Zebra' (Solanum lycopersicum 'Green Zebra'): growing, planting, caring. Mid-season variety, with small green fruits. The pruning of tomatoes! Vast subject, and the first question is: should we, or not, cut the tomato plant? - In traditional tomato cultivation, we cut, what is often called the "suckers", to stimulate the growth of the plant and the formation of the fruits. - Nowadays, many gardeners no longer resort to this trimming, particularly guilty of making the plant susceptible to diseases. The tomato is a perennial in its biotope of origin - South America! - but not at home: it has therefore in northern countries a shorter growth than an annual plant, accustomed to grow quickly before winter. In some countries, the short months of heat are not enough, and it is annoying to finish the season with green tomatoes! Now, when we talk about the pruning of the tomato, what is it exactly about? It is therefore necessary to remove the branches that sometimes grow under the base of already formed branches to remove the rejections which are born at the base of the plant, cut the low leaves that touch the ground, and finally monitor the number of flowers, to avoid the plant to get tired by producing too much. What is the risk of pruning? Indeed, cutting the branches opens wounds, which can cause plant fatigue, or even the introduction of diseases. Well, what does Groww say? Well, it depends. On berry varieties, do not cut. On big fruits, and depending on the region, cut, a little. Remove the discards, often to replant them further! The first shoots are left and can be removed if the plant becomes too big. The low leaves that touch the soil or mulch should be removed quite systematically. Finally,remove the foliage which sometimes prevents the fruits from maturing well, when the plant needs less leaves, and more sun!